Klarity offers multiple patient immobilization solutions for head and neck positioning. Our systems offer increased stability while maintaining a higher level of comfort for patients. All Klarity head & neck solutions are adapted to the needs of therapists, providing better working time and easy-to-use products. Our systems are highly compatible for flexible system integration. Please contact info@klaritymedical.com to learn more. The Klarity Optek™ System is our S-type overlay, with a variety of mask and cushion options for enhanced positioning. 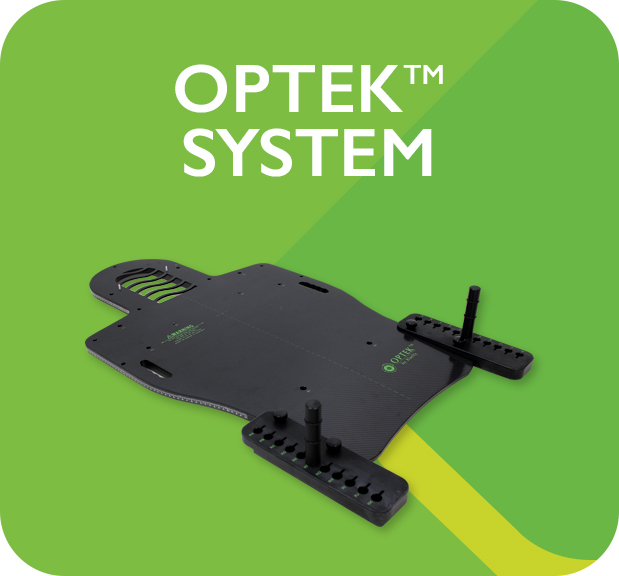 The Klarity Optek™ Demi-Baseplate is specifically designed for the Elekta HexaPOD™ evo RT System, but is equally useful for situations requiring S-type masks with a shortened baseplate. Klarity offers MultiFix™ Baseplates for U-frame and O-type masks. Supine and prone options are available, along with tilting options for increased positioning flexibility. 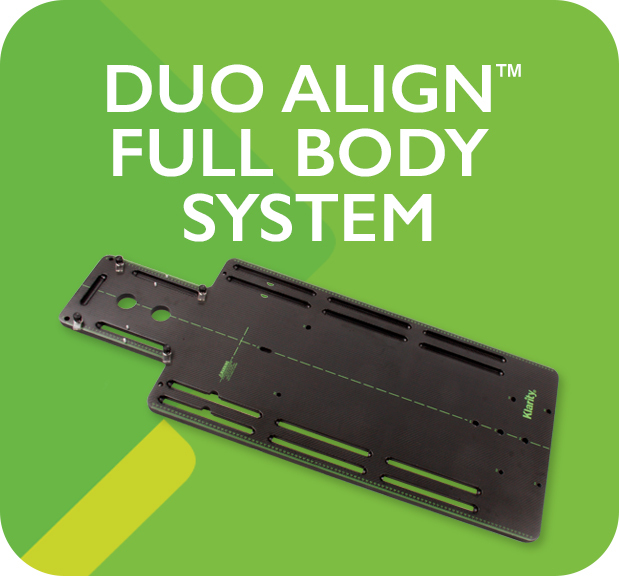 The Klarity Solo Align™ Full Body System is configured for multiple treatments and has a narrow profile that is compatible with smaller bore machines. The Solo Align™ System is immensely adaptable, and can be used with S-type masks, as well as breast, torso, and pelvic masks.